With minimalist details and an audacious style this contemporary metal pull gives your home design the modern look it deserves. This simple shape will not overwhelm your dicor. 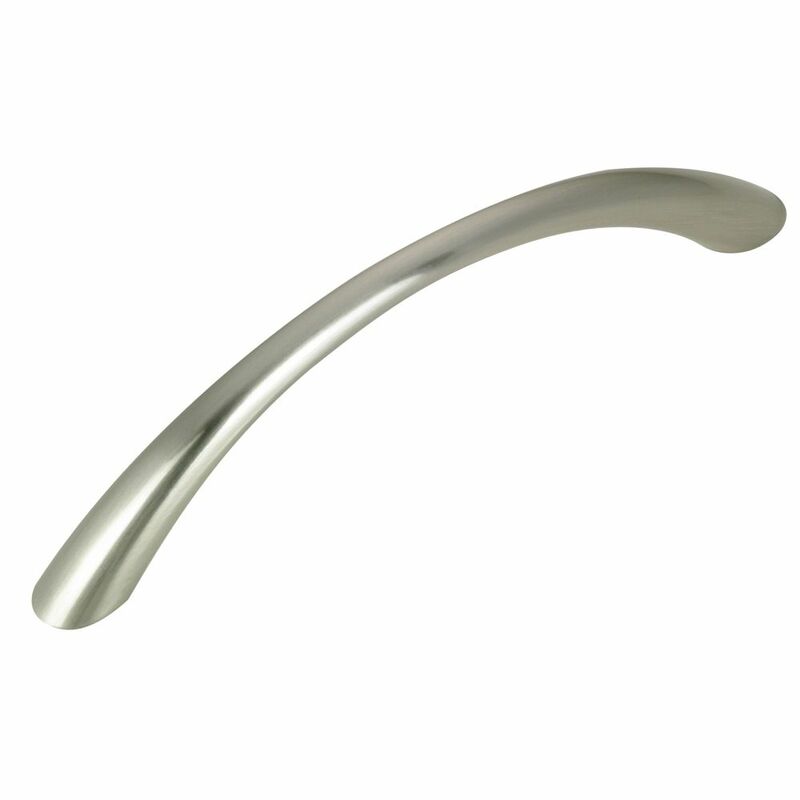 Contemporary bar pull in brushed nickel finish by Richelieu. Simple straight lines give a modern feel that blends well with any kitchen or bathroom dicor. Add a classic touch to your cabinets with this Richelieu pull. With small grooves and rounded edges, the simple design of this pull will blend well with any dicor. Contemporary Metal Pull 3 3/4 in (96 mm) CtoC - Brushed Nickel - Utopia Collection Contemporary bow pull by Richelieu. The arch ends in an elegant flared base at each end. Easy to install for an instant and elegant upgrade to your furniture or cabinets. Contemporary Metal Pull 3 3/4 in (96 mm) CtoC - Brushed Nickel - Utopia Collection is rated 3.0 out of 5 by 1. Rated 3 out of 5 by mjh0821 from Inexpensive yet refined This modern style pull handle is a perfect choice for the doors on your lavatory's and laundry room.